On 07/06/2018, at 2:10 AM, officers were sent to the area of Hunters Ridge and Haverhill in reference to an attempted burglary of a vehicle. 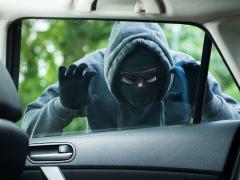 Upon checking the area, several other vehicles were found to have been burglarized. All of the vehicles were left unlocked. This is just a reminder to remove all valuables from your vehicles and lock all doors and windows. If you are currently a Police Department Video Partner, and live in the area of this criminal activity, please check your stored media images for suspicious activity and give us a call if you see anything you think might help us resolve this case.